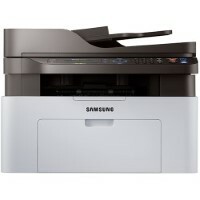 Save with our compatible Samsung Xpress M2070FW toner cartridges and cut your printing costs in half. To ensure the best printing experience, we engineer our toner cartridges based on the specifications of your original Samsung cartridges. We test every one of our toner cartridges for Samsung Xpress M2070FW printers for performance and page quality, so you can be confident our products will deliver the same quality prints as an original Samsung cartridge for less. Our comprehensive testing and quality assurance process allow us to offer a full 1-Year warranty and 100% customer satisfaction guarantee on all products. As part of our commitment to our customers, we also offer lifetime customer support, thus providing you complete peace of mind.